143-145 Lee High Road, Lewisham, London, SE13 5PF. We are a family business of over 60 years. See video story of the Allodis. 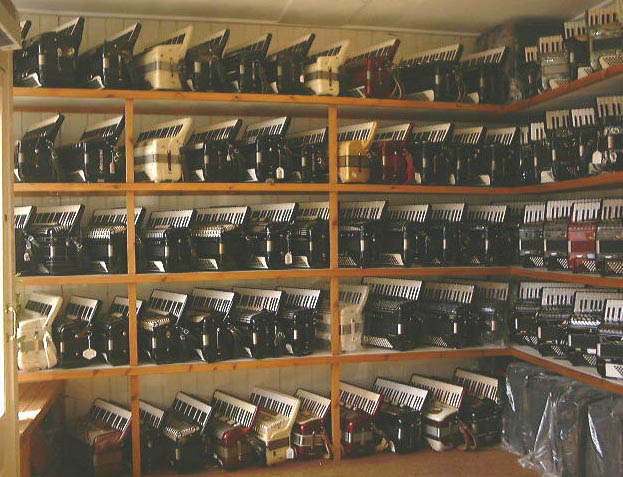 We specialize in traditional accordions of all kinds, plus straps & accessories. 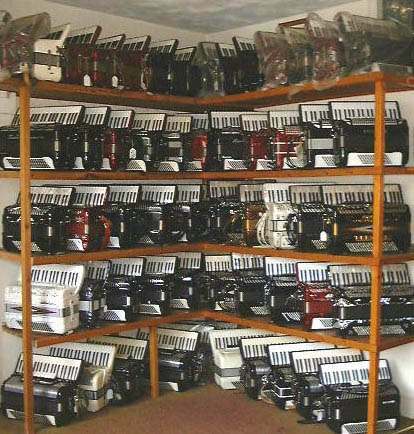 Largest selection of new & secondhand accordions displayed & available in the UK. You will receive personal, friendly, unbiased expert advice. Part exchange welcome. Every instrument comes with a full 3 year guarantee. Repairs & microphone fitting where possible while-u-wait. as well as where and how to find us. 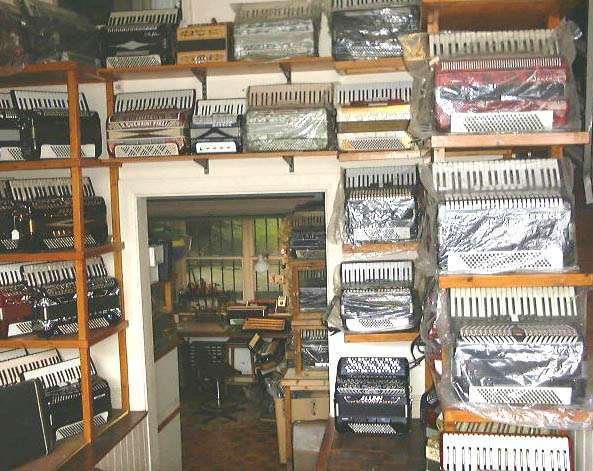 Visit our stock pages to see our huge new and secondhand stock, both by name and linking to full size images, plus lots of extra interesting information about the accordion, repairs and it's origins. Assuring you of our best attention at all times, and looking forward to seeing you in the near future. 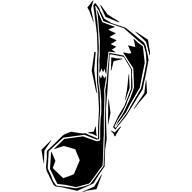 Ideally, we hope you will come to the shop personally, so you may see, and more importantly, try out the different instruments available. It is essential to be able to play, hear and feel the differences between the various models in the same place, so that they may be compared acoustically; instruments can vary quite dramatically in sound depending on a room's size, type of flooring etc.... You might like to check out our Allodi/Fantini player's rogues gallery. The biggest and best advantage of visiting in person of course, is that you will undoubtedly gain from our knowledge and years of experience. 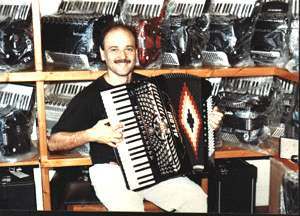 However, that said, the website is designed to be the next best thing, allowing you to view our business from the comfort of your own home and in addition, have some vital questions answered that you may have been asking yourself before taking the plunge and purchasing your own accordion. Refer to our section expert advice and Pre-War accordions. 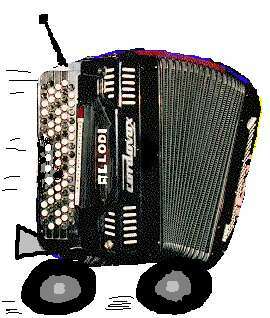 TWO ACCORDIONS HAVE BEEN STOLEN FROM THE SHOP. THE PICTURES BELOW ARE OF VERY SIMILAR ONES WITH VIRTUALLY IDENTICAL FEATURES. 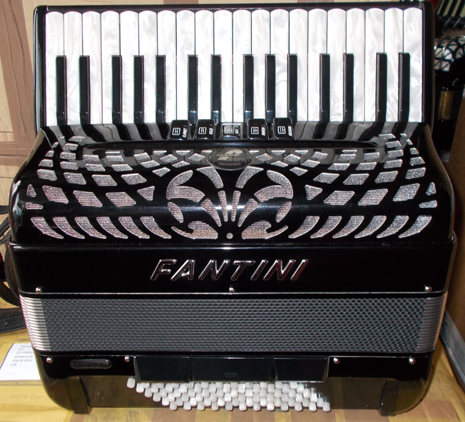 ONE IS A FANTINI SP1/GB, BLACK WITH NAME DECORATION, 34 PIANO KEYS AND 96 BASS. 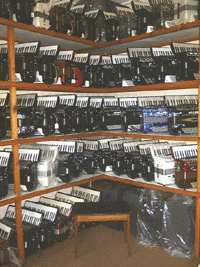 3 SETS OF REEDS WITH 5 TREBLE AND 2 BASS COUPLERS. 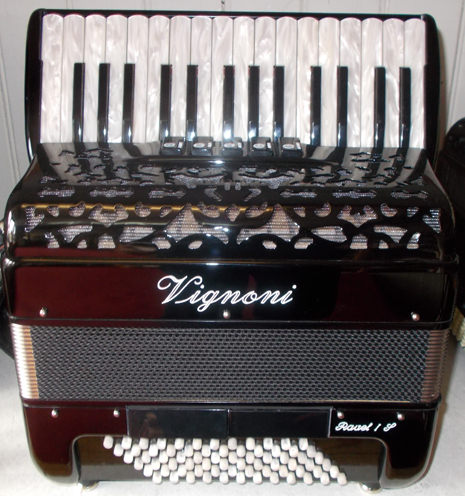 THE SECOND IS A VIGNONI RAVEL 1S, BLACK, WITH MOTHER OF PEARL KEYBOARDS, 30 KEY WITH 72 BASS, 3 SETS OF REEDS WITH 5 TREBLE AND 2 BASS COUPLERS ALTHOUGH THE BELLOWS HAS A GOLD DIAMOND PATTERN. My computer is not located at the shop. The majority of my time is spent dealing with customers and working on repairs in the shop and workshop area, so on any given day I may not go anywhere near the computer and your e-mail may go unanswered. E-mails are letters, and it is therefore time consuming and laborious to answer lengthy enquiries. For this reason, wherever possible, please telephone rather than e-mail me. We try to check e-mail most days and as much as possible, hope to respond within 3 days, however I am an old fashioned style of shop and there will be exceptions depending on workload at that time, and repairs and telephone calls take priority, so if your enquiry is urgent, to avoid disappointment, please telephone and do not rely on e-mail alone. If you do not hear from us back to an e-mail at all, please e-mail again or telephone as we answer all e-mails received but have discovered that on the odd occasion, e-mail can go missing. 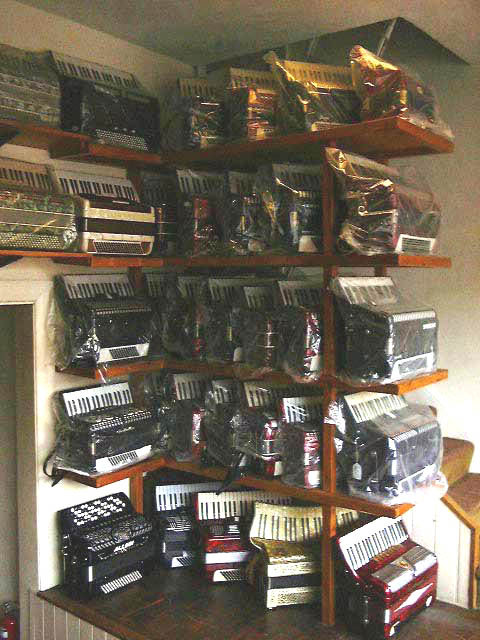 In the instance of second hand instruments, our stock can change on a daily basis, so it is always worth a quick call to clarify one way or the other when looking for a particular accordion. you will find it informative and fun to browse around. No material from any section within this website may be taken or used without prior written permission. WISHING ALL OUR CUSTOMERS A HAPPY CHRISTMAS AND A PROSPEROUS NEW YEAR!